This page is focused on wrongful termination settlements in Iowa. It is usually unusual for good claims to go to court, simply because they quite often settle out of the courtroom. But if they do not settle, there might be a trial, in which only one side will prevail. Many of these litigation cases consist of mixed settlements, implying they implicated a single, or perhaps a number of claims of unlawful firing as a consequence of disability, sexual orientation, gender expression or gender identity discrimination, firing in violation of public policy, workplace retaliation, pregnancy, gender discrimination, breach of employment contract, whistleblower, age discrimination, constructive discharge or race, color, national origin, religion discrimination. The table beneath shows a snapshot of the various kinds of cases filed in conjunction with their specific numbers in IA in 2017. Iowa has one of the lowest number of wrongful termination claims in the country, as you can see from the statistical table above. 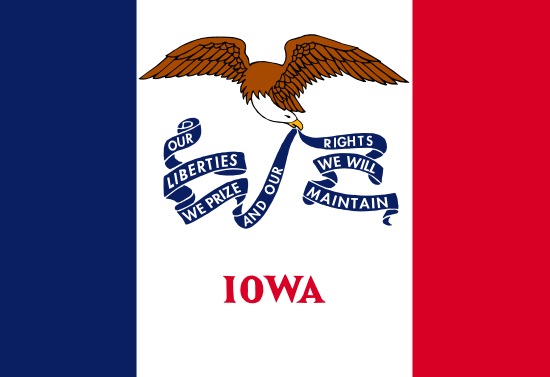 Nevertheless, we were able to find a few general cases, that will give you an idea of how discrimination and wrongful termination suits play out on Iowa. Lynne Seabrooke worked for UIU as an assistant registrar of international programs. She started suffering from depression and post-traumatic stress disorder, so she asked for reasonable accommodations from her supervisors. These included working a shorter work week, lighter work load, and moving her desk to a window with natural light. Instead, her supervisors increased her work load to 2-3x that of her colleagues. She was terminated soon afterwards. She went into a deeper depression after her termination, and even attempted suicide. The City of Boone has a population of around 12,000 people. In 2010, the city decided on hiring a new municipal infraction officer. They ended up hiring a 25 year old man over the more qualified 62 year old Larry Cook. Cook reported this to the EEOC, who sued the City of Boone on his behalf, alleging a violation of the Age Discrimination in Employment Act. The law protects not just existing employees, but job applicants as well. When thinking about this list of unlawful firing settlements from Iowa, understand that the large amounts of money are due to punitive damages. Punitive damages are rewarded to discourage organizations from taking part in the same type of inappropriate behavior. Punitive compensation is very uncommon. A good number of claims will settle for anywhere from $20,000 to one hundred thousand dollars. Our report on wrongful firing settlements and verdicts in IA is meant for informational purposes. Even if you feel resemblance to any of these cases, keep in mind that each and every situation is different. What is the average wrongful termination settlement in Iowa? It’s easy to understand that you would like to find out the amount of money you could get for your wrongful dismissal claim. In the event that you settle (or prevail in court), the amount you are given is generally dependant on these factors: benefits lost, costs of finding a new job, lost earnings, medical costs, reason of discharge and emotional distress. Punitive damages could be granted in rare situations, in the event the workplace behaved egregiously. As you’ll see from the sample cases described above, providing a median settlement for unlawful termination cases in IA is actually hard, because each and every case is unique. The average wrongful termination settlement in Iowa is between $4,000 and $100,000. Lawyers are usually beneficial when brokering a better settlement. The majority of court or jury awards are generally higher, around $90,000 and $450,000. This is certainly one of the reasons companies choose to come to an agreement outside of court. Numerous years of litigation, bearing its legal costs and perhaps losing the lawsuit in the end is always costly. If you think you were terminated for an illegal cause, this is what you should do. To begin with, you will want to contact a wrongful termination attorney in Iowa to find out whether you have got a case worth pursuing. Ensure that you don’t run out of time to file your claim, read the Iowa statutes of limitations for wrongful discharge. Next, you will probably need to file a timely claim with the EEOC’s partner in Iowa, the Iowa Civil Rights Commission.